The G533 Wireless Gaming Headset is the newest offering from Logitech. It's being announced this week at CES, and if you're in the market for a new headset, it's well worth your time to check it out. The first thing you might notice about the G533 is that it lacks a model name. Many of Logitech's recent products include both a number and a name, like the G900 Chaos Spectrum wireless mouse. Logitech says that the G533 is the first product that is making the move back to the basic naming convention that it plans to use going forward. The G533 is a PC-focused, no frills headset. You won't find any crazy lighting setups or a bunch of programmable keys on this unit. Logitech says that it is targeting core gamers with this headset, and it shows. 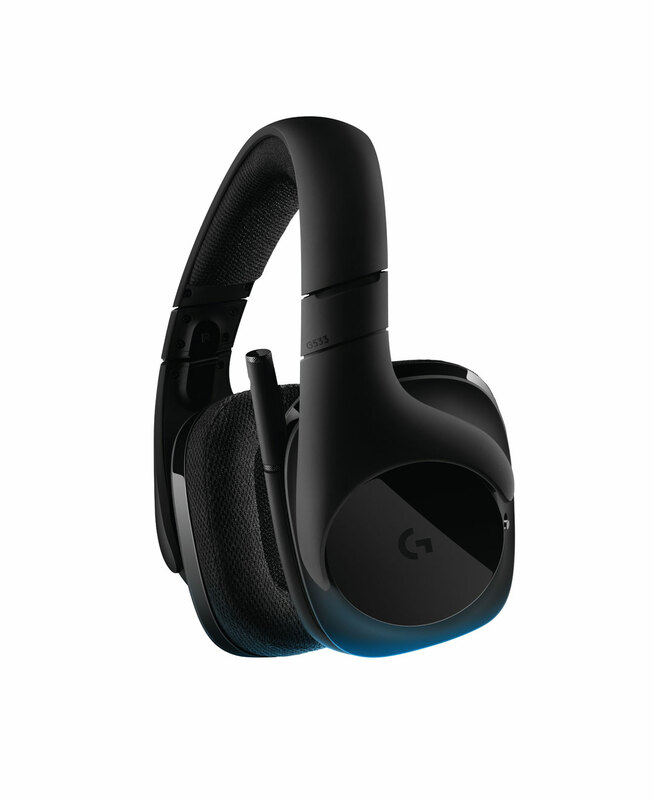 You might not get all the bells and whistles you would find on a headset like the G933, but what you do get is lightweight performance, 15 hours of gaming battery life, and great sound. Yes, you read that right. 15 hours on a single charge. That's the claim Logitech is making, and in my experience with the headset over the last couple of weeks, the unit meets or exceeds that claim on every charge. The company does say that the 15 hour life is based on keeping it at 75 percent volume or lower, but I never found the need to have it any louder than that. The battery is also replaceable, so if your battery starts to wear out, the headset isn't useless. You can also use it while plugged in. The sound quality of this headset is phenomenal. Highs and mids are clear and strong, and it includes the new Logitech Pro-G 40mm driver for some of the best bass I've heard in a headset in a while. DTS Headphone:X surround sound technology is built in, which means the headset replicates 7.1 speaker surround sound, and it positions the audio so you always know where those footsteps are coming from. There are also some games offering up custom sound profiles for the headset. Currently, Battlefield 1 is the most notable, and the game really shows off the headset when you activate the profile in the game options. The G533 also sports a very nice microphone. One new feature is a built-in pop filter. Instead of a foam bulb that covers the mic, it incorporates a custom piece of fabric across the mic opening, making it both effective and unobtrusive. As with most gaming headsets, you can mute the microphone simply by raising it, and the microphone extends and is bendable for precise placement. On the back of the left earcup, you'll find the controls to mute the mic and adjust the volume. Another great feature of the G533 is the new wireless technology. 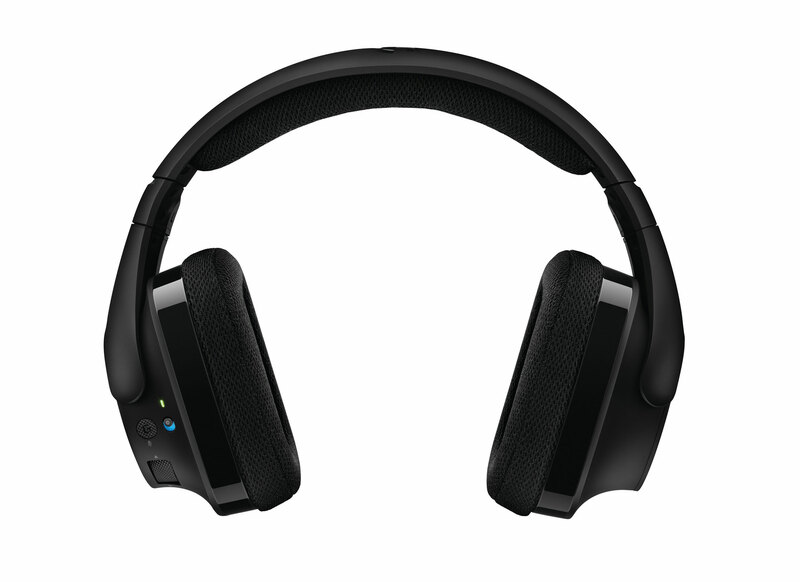 It outperforms previous Logitech headsets, staying connected at up to 15 meters (nearly 50 feet). In my personal testing, it had better range than the Logitech G933 and the Astro A50. Once you get the G533 in your hands, you can't help but comment on how lightweight it is. At only 12.5 ounces, it's even lighter than the Astro A50 headset I've used for years. The company said that it has cut weight where possible, but still retained the steel extensions and reinforced joints that help keep the headset strong. It features a breathable sport mesh on the earcups that is removable and washable, so it's easy to keep clean. It's simple to set up, requiring only that you plug in the included USB dongle to start using it. That said, you should really install Logitech's Gaming Software when you get the headset, because it offers up a wealth of customization options. You can monitor the amount of charge remaining in the battery, adjust the volume for each of the seven surround channels, and you can even reprogram the function of the unit's one "G-key," which defaults to mute the microphone. You can also set up game specific profiles for the headset, allowing you to tweak each game's sound exactly how you like it. In short, Logitech has produced a superior gaming headset. You'd be hard-pressed to find a wireless headset that lasts longer on a single charge, and it sacrifices nothing in sound quality. While the G533 is a bit pricey at $149.99, that's not outrageous in the world of wireless headsets. If you're willing to pony up the money, you'll get an awful lot of headset for the price. 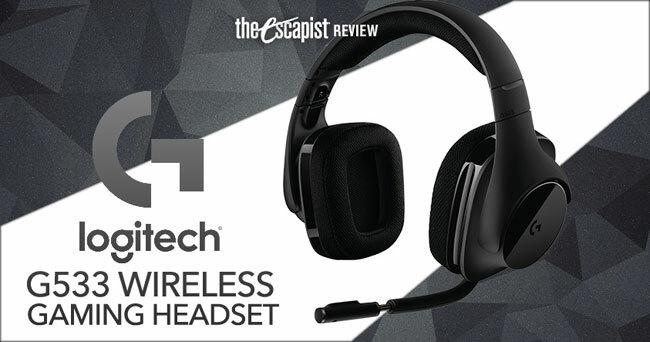 Bottom Line: At $149.99, you really won't find a better wireless headset for the money. The Logitech G533 offers up just about everything a gamer could want from a headset. Recommendation: The Logitech G533 is a perfect blend of price, performance, and features. 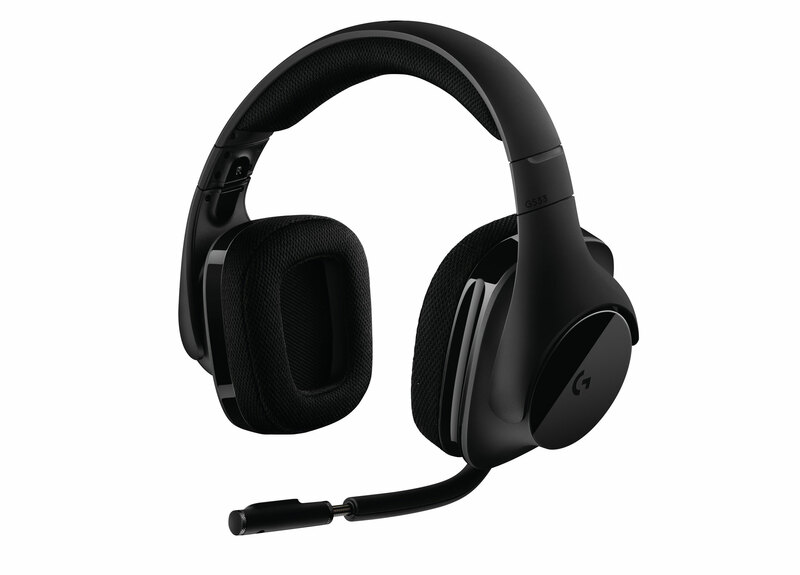 If you're in the market for a wireless headset, you cannot go wrong with the G533.